What can be learned from Green Week 2014? The recently-held Green Week 2014 in Brussels saw thousands of environment- conscious exhibitors and attendees. The conference was attended by several environmentalists who are hopeful that the United Nations will be able to set binding goals next year pertinent to slowing down and reversing the damage done to the environment. The invited speakers and resource personnel pointed to the numerous opportunities for key players to agree to major changes. an ideal setting which is the logical solution for a world that is constrained by depleting resources. the ideal place where the concept of re-use is the standard practice. where sustainability is woven into the very fabric of society. How can the world’s limited resources take its path towards a closed-loop economy? Through better waste management? A given example is recovering gold from electronic waste. How is this possible? According to the director-general for Environment of the European Commission, Karl Falkenberg, about 350 grams of gold is “reclaimable” from every ton of electronic waste. This is actually several times greater than what miners can get from gold-mining processes. Imagine how many grams of gold you can convert this mountain of electronic waste – 350 grams of gold = 1 ton of electronic waste. And gold is not the only one that can be reclaimed. Copper, rare earth, computers, bicycles, cans and bottles are all sitting in the waste pile. Falkenberg explains that a key change is being able to look at waste, not as waste but as a resource because it’s too valuable to be wasted. Cyndi Rhoades of Worn Again, a textile firm based in the United Kingdom is one of the participants of the Green Week conference. She shared what they are doing at Worn Again – they don’t just recycle second-hand clothes, but they upcycle material. They take material from hot-air balloons, train interiors, and other obscure sources, which they turn into sneakers, jackets and bags. While the idea is not new or unique, the output is still relatively small. Cyndi is hopeful they can increase the scale of production if they can divert the polyester destined for landfills to their production site. 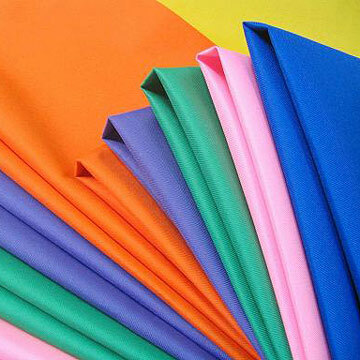 Polyester fabric is an artificial material produced from the same fossil resources used to produce fuels. Can polyester destined for landfills be diverted to textile production sites? Cyndi’s company buys up polyester clothing which is no longer suitable for wearing and which has little value. They reclaim the polyester from these materials to be spun anew to produce a new fabric to be used for new clothes. In essence, Cyndi said that the polyester is a resource that was above ground to be harvested again. It wasn’t waste. After producing a new fabric, the petrochemicals in it will not end up in a landfill but instead will be used over and over. Despite the complex technology needed for this process, the amount of clothing and other fabrics that can be put into the closed-loop cycle will help reduce the world’s dependence on virgin resources. Can your company reclaim something from waste?